The movie has been praised for bending and transcending genres. 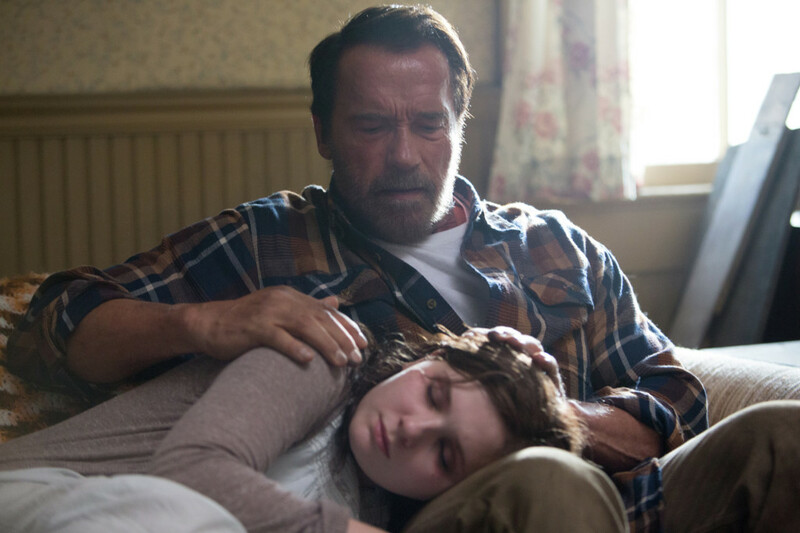 It’s set in an apocalyptic world overrun by a zombie virus, but rather than the usual plot we see in zombie movies of late (in which “plot” is substituted for “shotgun”), it’s about he drama that unfolds between a father and his daughter when the daughter is bitten and begins to slowly transform into a monster. There’s no official release date for it yet, but they’re saying we should see it by early 2015. Being pulled from the festival is probably fine. But it does make one wonder. While the official word on why they did it is that, having been picked up now, it doesn’t need the buzz from the festival. But isn’t buzz always good? One might wonder if they moved it out because now that it’s picked up, there’s no reason to risk a poor reception that might sour the deal with Lionsgate. But I’m staying optimistic – it really is a great concept. Is there any chance that we’ll see a sequel to everyone’s favorite zombie comedy Shaun of the Dead? Sadly, this is unlikely, as the film did end with half the Pegg/Frost duo as a zombie. The story is fairly complete, as it is given a resolution (albeit the humorous notion of living in peace with the zombies). 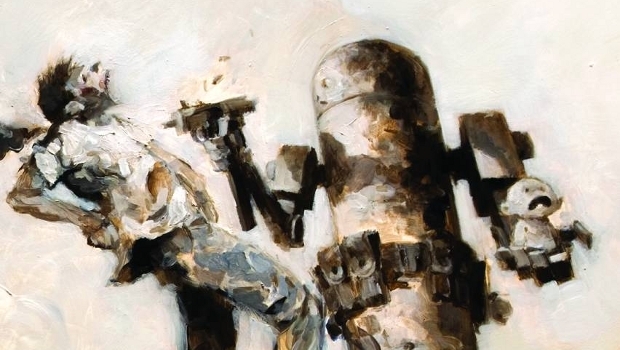 You might not be familiar with IDW’s Zombies vs. Robots comic, but if not you should give it a look. It’s a brilliant and fun piece of work about a young girl – the last human on earth – who is protected from zombies by highly advanced robots designed specifically for the task of protecting her. And now it seems Michael Bay’s Platinum Dunes production company is keen to adapt it into a film. From what I’ve read, it’s working title is Inherit the Earth, but we should see it called by its original title, because while Inherit the Earth is a great name, Zombies vs. Robots is a real attention-grabber. The rumor about this has been floating around for a while, and just because it’s on IMDB doesn’t necessarily make it true. But I’ve seen it on ScreenRant now, which tends to mean that there’s some truth to it. J.T. Petty is attached as the writer. He wrote the screenplay for a few Splitner Cell games, so it’s okay if you’ve never heard of him. He has written the spec script for the film, and should be to work on the real thing by now. While it’s hard for me to feel excited about a Michael Bay film, what we can at least surmise from this is that there’s a big budget zombie movie coming up that’s based on a great comic title some time in the not-too-distant future. We will probably see some big names attached to the cast soon and this project should become a big deal by next summer. 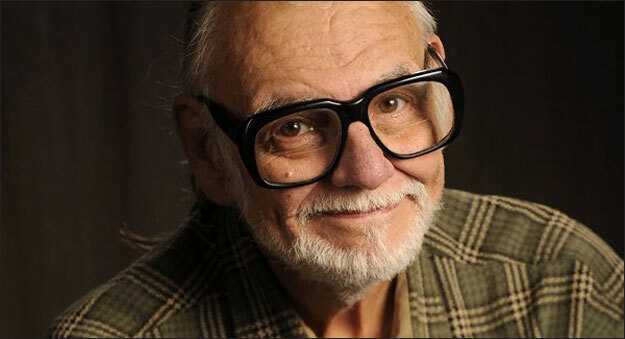 George A. Romero is the father of the zombie film, and an unquestioned genius of the genre. His last two movies fell a little flat, but are still better than 90% of the horror garbage out there today. But he’s not working on anything right now, and he’s got a fairly decent reason for it. Once they bleed out of pop culture I’ll be able to go back and do them again. I don’t want to touch them now. Gosh, they are all over the place. The Walking Dead is the number one television series in the States, World War Z, games, commercials… Ugh! It’s too much! They asked me to do a couple of episodes of The Walking Dead but I didn’t want to be a part of it. Basically it’s just a soap opera with a zombie occasionally. I always used the zombie as a character for satire or a political criticism and I find that missing in what’s happening now. So because pop culture is over saturated with zombies at the moment, he will go back to work on zombie movies when the fervor has calmed down. For now, he doesn’t want to be just another face in the crowd, which I can respect. If you’ve got a Romero jones though – which I basically always do – he’s writing a 5 part comic book miniseries for Marvel called Empire of the Dead. I’ll definitely be picking up each issue as they start coming out in January. I wrote up some Walking Dead trivia I found recently, and so I’m on kind of a trivia kick. I’ve been reading about the Romero movies, and I’ve got some fun facts to share. Did you know all of this? Reader’s Digest warned people against watching the movie in 1968, claiming it would inspire cannibalism. As a publicity stunt, the Walter Reade Organization, who distributed the film, took out a $50,000 insurance policy against anyone who died of a heart attack while watching the film. Roger Ebert’s original review of the film mostly reflected on how scary it was, and how inappropriate it was for the young audiences who frequented horror movies at the time. He didn’t understand the idea of a horror movie actually being scary. 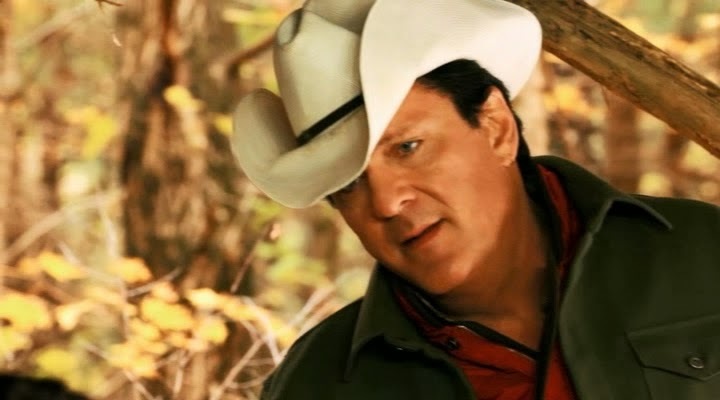 Many of the actors in the film were local investors who were given roles not only as thanks for their funding, but because the budget was too short to hire professionals! The social commentary on race that some perceive was not intentional. According to director George A. Romero, Duane Jones, who plays Ben, the film’s black main character, was simply the best actor who tried out for the part. The Monroeville Mall, where the movie was filmed, has remained a tourist attraction today. There are posters with scenes from the movie on the upper level, and a store called Monroeville Zombies that sells zombie swag. This film was more comedic than the previous film because Romero wanted it to seem a bit more like a comic book. The two zombie children who attack Peter are played by Tom Savini’s real life niece and nephew. 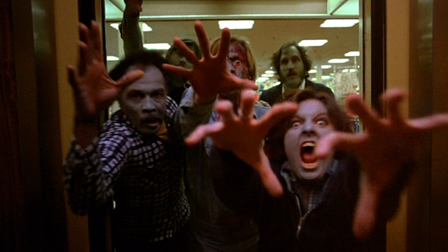 They are the only zombies in any Romero film that move quickly and do not shamble. Horror legend Dario Argento was a big fan of Romero, and invited him to come stay with him in Rome so he could write the script for Dawn of the Dead without distractions. Romero was able to write it in 3 weeks (longer than the 3 days he used to write the final draft for Night of the Living Dead!). The extras were famously paid $20, a box lunch, and a Dawn of the Dead t-shirt. Filming had to stop over the Christmas shopping season because it would have been too much work to remove and rehang all the seasonal decorations. Romero says this is his favorite of all his films. The budget for George A. Romero’s original script was estimated at $7 million, but he would only be given the money if he could film an R-rated film. He was told that if he went ahead and shot an unrated film with no limits on gore, the budget would be split in half to $3.5 million. The underground facility that makes up the film’s main setting was not filmed on a soundstage, but in the Wampum mine, an old limestone mine near Pittsburgh. 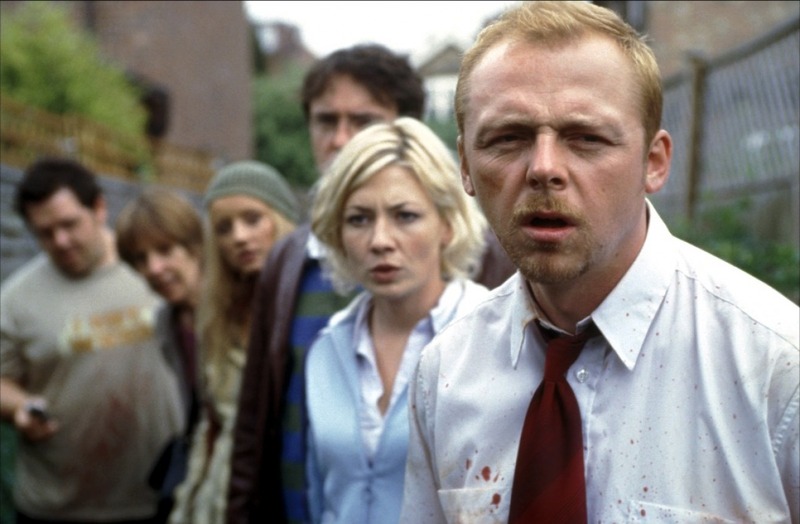 After seeing and loving Shawn of the Dead, Romero invited Simon Pegg and Nick Frost to cameo as zombies in this film. The zombie of Tom Savini’s biker character, who appears in Dawn of the Dead, is seen in one scene in this movie. Dennis Hopper’s performance of Kaufman is based on Donald Rumsfeld. Romero’s daughter appears in this film as the soldier who shoots the zombie on the electrified fence. Asia Aregento, who plays Slack in this film, is the daughter of Dario Argento. Dario was the co-producer and composer for Dawn of the Dead. Warning: Not for the faint of heart! Some of these scenes are completely inappropriate for children. 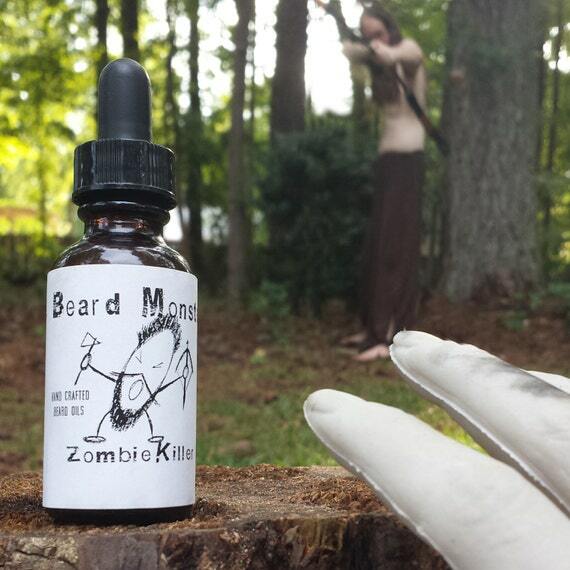 Too many zombie flicks these days rely on gore, or the action fantasy or endless shot-to-head action. Where’s the real terror? When Roger Ebert initially reviewed Night of the Living Dead in 1969, his review was mostly about how terrified the audience was. Other than some cheap jump startles and nasty special effects, there’s not much to scare audiences in a lot of zombie flicks. But check these out! This is known as the “finding the keys” scene. You can feel the panic as she ransacks the place looking for the damn things, and the moment when she gets out to the stairs again is the reason they probably handed out changes of pants at the door in the theater. In the remake of Dawn of the Dead, a movie that grows on me with every subsequent viewing, one of the characters is pregnant. She ends up bitten, and in this scene, we see what she gives birth to. 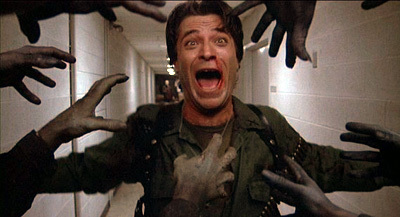 Zombi was the Italian title for Dawn of the Dead, and this movie was titled entirely as a way to cash in on the success of what is still Romero’s most successful film. 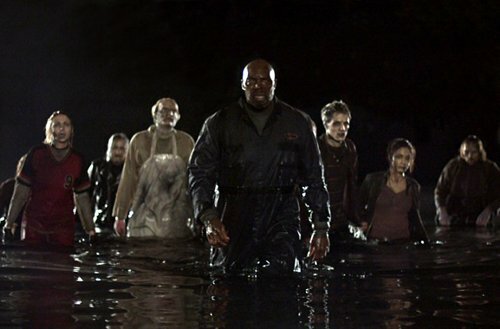 Despite somewhat shady origins, it’s actually a hell of a film, considered not only one of the best zombie movies ever, but one of the best horror movies period. This is an iconic scene that will really mess with your head. Watch how slowly it happens, building tension, making you wonder how far they’ll actually go! Spoiler: It’s an Italian horror movie, so pretty damn far. One of my personal favorites, this scene is creepy for so many reasons. 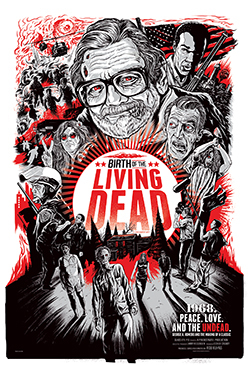 Return of the Living Dead did something few films have – gave zombies the power of speech. Their voices, in the few instances in the film when they speak, is suitably creepy, and the dialogue in this scene is especially unsettling. 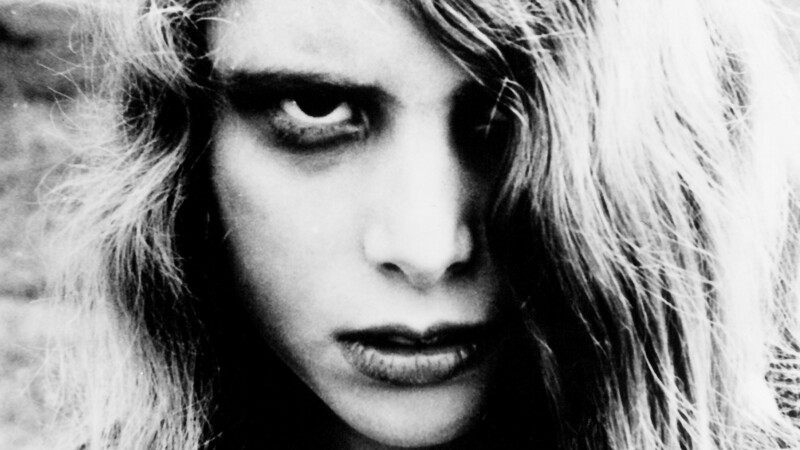 If you’ve been reading my blog, you know by now that I hold Romero’s classic Night of the Living Dead in the highest regard. So you shouldn’t be surprised to see it showing up at number 1. And of all the great scenes in that iconic film, by far the scariest is the basement scene with Karen Cooper and her mom. I’ve mentioned before how much I love Karen – played by Kyra Schon. She’s my Instagram profile picture. She’s the most unsettling zombie in the picture, and ultimately the one who does the most damage. And this is the penultimate scene with her. When Roger Ebert complained that this film was too scary, he was no doubt thinking about this scene. And that’s it for my little list! What’s your favorite zombie movie moment? One of these, or a different one? Talk to me in the comments section!